CODE Glasgow: Next up at CODE | January 17th, 2015 | Luis Flores LIVE! Next up at CODE | January 17th, 2015 | Luis Flores LIVE! We rounded off a great 2014 with an epic party with our special guest Pfirter. We are already looking forward to some more great parties in 2015. We're kicking things off in the strongest possible way with a live set from LUIS FLORES. Hailing from Guadalajara, Mexico but now based in Berlin, Luis Flores can be found rocking clubs to their very foundations all over the place. 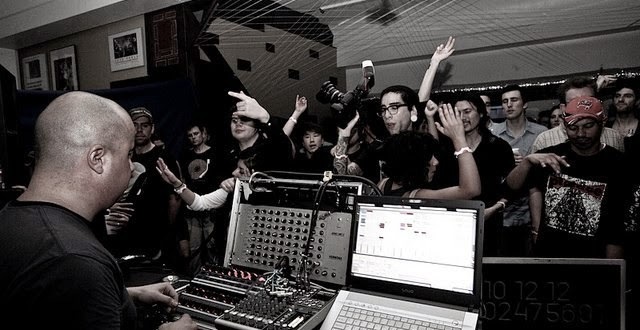 His amazing live sets, which are very much improvised are a journey through techno's many sub-genres. Having had the pleasure of witnessing Luis playing live in Berghain in October, we at CODE can't recommend seeing Luis highly enough. You won't be disappointed. More details and ticket information to follow soon.